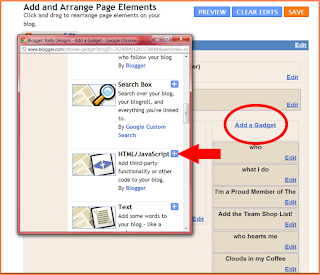 Here's an easy way to add your own "Grab My Button" Gadget to your blog. I suggest you also have it emailed to you in case you lose the page while you are working on your code. You are going to want the Direct Link For Layouts code. Change that to the location you want your button to link to. Change that to the tinypic url that you just created. That is the title of the page you are sending people to. When you copy the code, MAKE SURE you don't leave anything out. 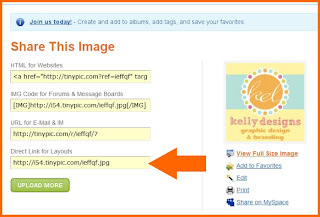 Make sure when you replace the text with those urls that you don't leave a space or delete a " along the way. You can change the size of your scroll box by changing the numbers "15" and "6" to fit your sidebar. You'll need to play around with this. If you don't have a button, you can use the image you are already using for your etsy avatar. If it needs resizing, let me know and I'll see if I can resize it without losing resolution. If you want me to make you one, Promo Frenzy Team members get 20% off everything in the shop. Convo me for the code... it's only for team members, because you all rock! 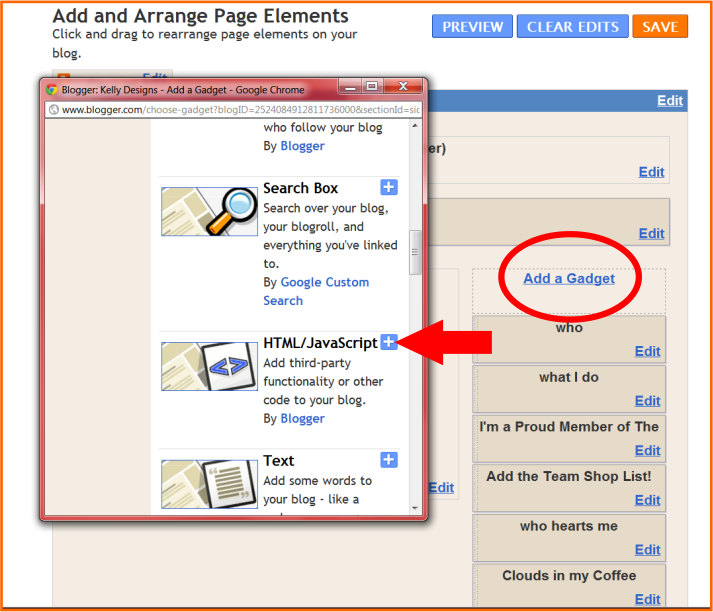 your post helped me to learn how to add widgets to my blog! thank you! Kelly - this is a perfect post for me, because we don't have a button yet (and thanks to my daughter, we have a new avatar to use)! Thanks so much. You're awesome! Thanks Kelly! I'm going to try it! Thanks so much for posting these tutorials Kelly. You are helping a lot of people! Thanks Kelly! It's so nice of you to take the time to help us all out with tutorials, and buttons. Making codes, etc. You rock! I appreciate everything you do for the team! Your instructions are always so easy to follow! Thank you! Great tutorial as usual. I'm going to hang on to this. Good info. Thanks for this and all of your hard work for the Promo Frenzy Team. I really have utilized the listing jpeg for my empty photo slots. wow, thanks so much for this tutorial! Thanks! Information overload. I may have to let me 18 year old look at this and get me through it. great info- i'm gonna have to try this! thank you thank you thank you!!! i made my own button!! ur awesome!